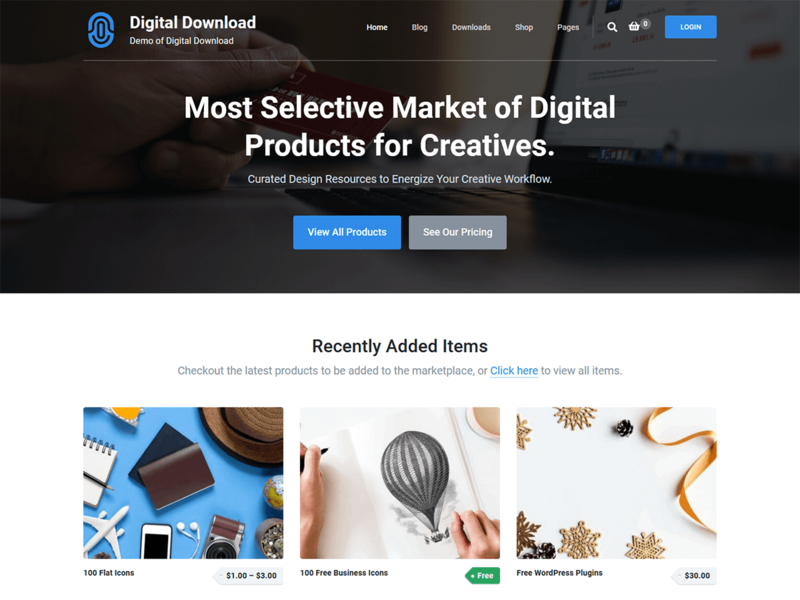 Digital Download is a fully responsive free WordPress theme that allows you to sell digital products using the Easy Digital Downloads plugin. You can create a professional digital marketplace using this theme without writing a single line of code. This highly customizable theme allows you to sell various types of digital products like ebooks, tutorials, music, themes, plugins, software, code snippets, videos, photos, etc. The theme is designed to maximize your conversion rate. This rightly placed theme features multiple Call to Action buttons to prompt your visitors to purchase the products. The mobile-friendly design of this theme ensures your site adjusts according to the size of the screen of various devices providing the user smooth browsing experience. With clean and user-friendly layout you are assured to keep your visitors engaged on your website. The theme allows you to display your satisfied client’s testimonial on the homepage which helps to gain credibility and trust. Digital Download theme is speed optimized, SEO optimized and Schema ready which makes it very easy to rank your website in Google. Furthermore, it is cross-browser compatible, translation ready and supports RTL scripts. This theme is backed up by super-friendly and experienced support team to help you with your issues and queries while using our theme. Check demo at https://demo.raratheme.com/digital-download/, read the documentation at https://raratheme.com/documentation/digital-download/, and get support at https://raratheme.com/support-ticket/.